As we approach the one year mark since Hurricane Maria devastated the lovely island of Puerto Rico, tourism is once again alive and well. The best way we can help the island of Puerto Rico fully recover is to go visit! I visited Puerto in March 2015 for a Sales Conference and extended that trip to explore the island adventures with my family. It was by far one of the best trips we have ever taken. Here’s why you should make Puerto Rico your next adventure. The precious Bioluminescent Bays in Puerto Rico are one of the best reasons to adventure in Puerto Rico and they are still intact after the hurricane. 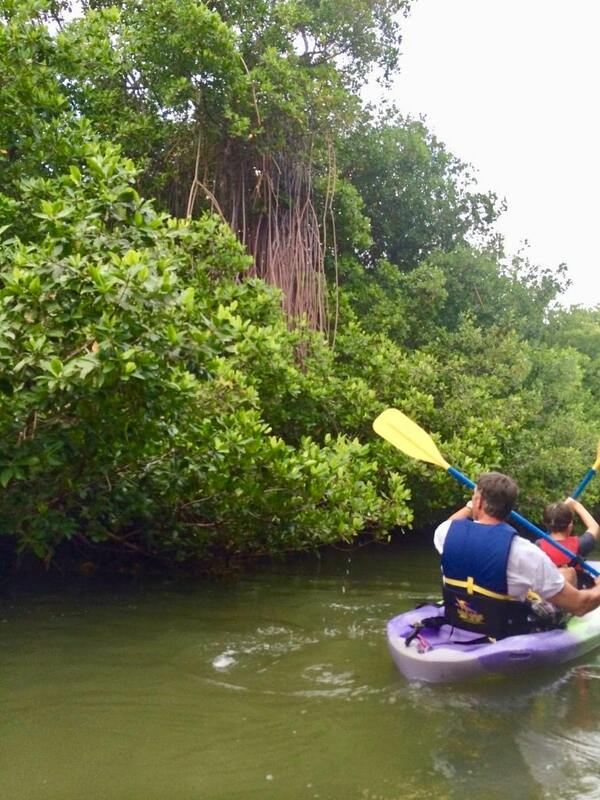 One of the truly magnificent things to experience in Puerto Rico is what’s known as the Bio Bay. It is filled with micro-organisms that emit light when agitated at night. We took a kayak tour of Laguna Grande at dusk. As we paddled, past mangroves and saw iguanas, we experienced the reward of seeing the bay light up around our paddles and our hands as we moved them through the water. The water literally glows as you move your hands and paddles through it. I wish I could have shown you pictures of it, but balancing my paddle in one hand in the dark and trying not to drop my iPhone in the water with the other hand proved much more challenging than I had anticipated. That said, most of the pictures of the bioluminescence are doctored so don’t expect to see entire sections of neon blue light or anything. 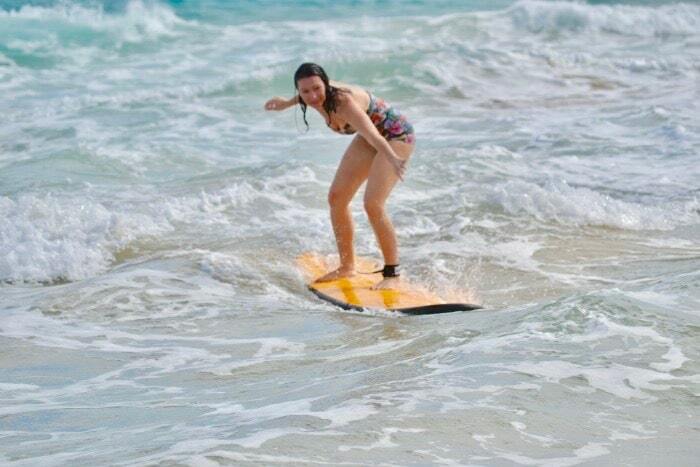 Of all the things to do in Puerto Rico, this is the one we were most excited about. Puerto Rico one of the few places in the world to witness this phenomenon, so it is the #1 reason why you should make Puerto Rico your next adventure. 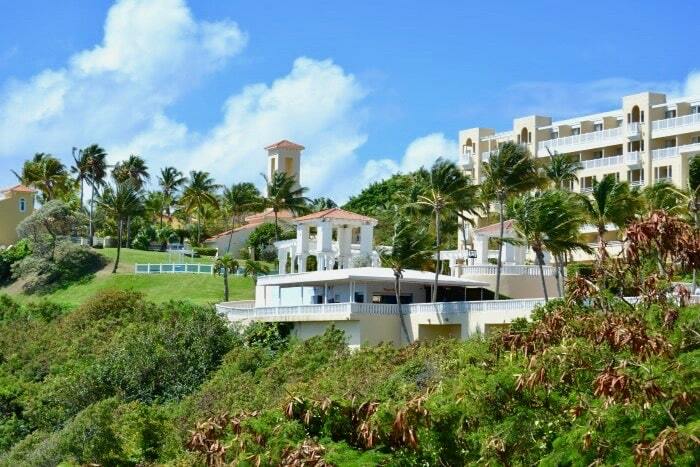 The El Conquistador Resort in Fajardo, a Waldorf Astoria property, although still undergoing renovations due to Hurricane Maria, is now open for business once again. 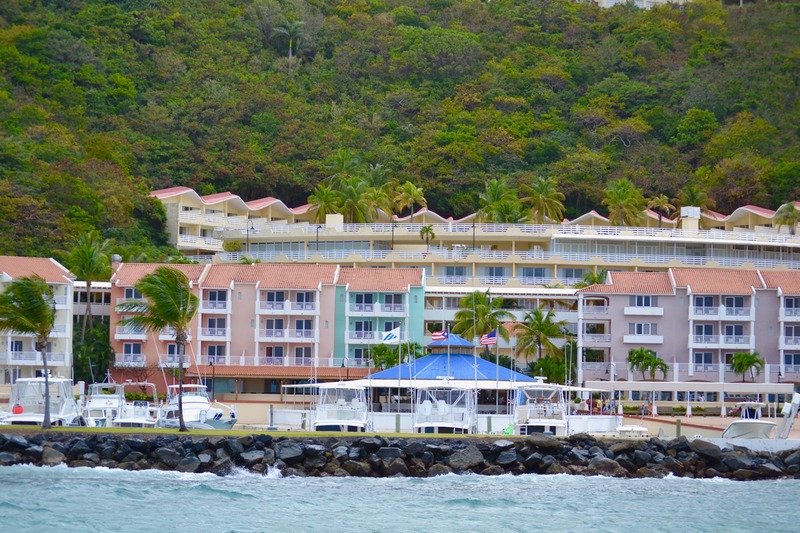 This hotel boasts two of the most awesome amenities, a water park and access to a private island. 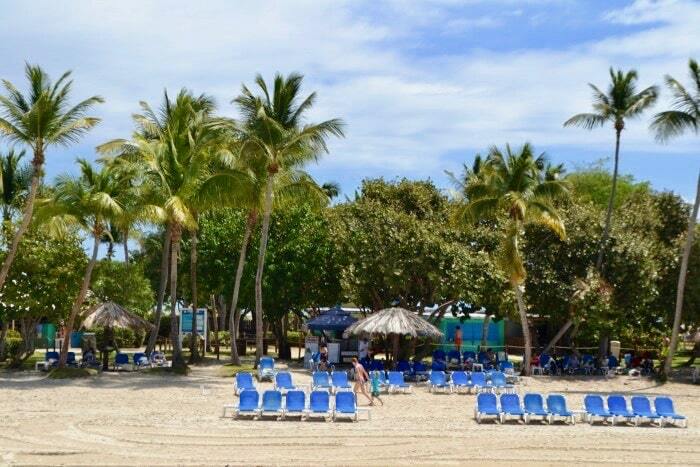 As a guest of the El Conquistador Resort, you have exclusive access to Palomino Island, a private island about a 20 minute ferry ride from the hotel. 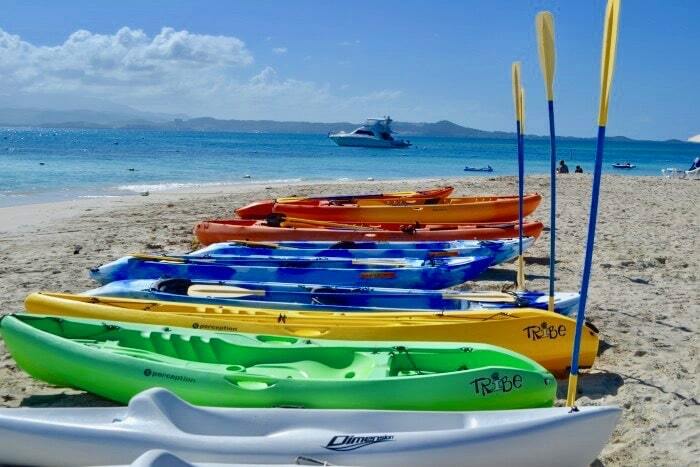 Palomino Island has an adventure for everyone from horseback riding to kayaking and snorkeling to wave runner rentals to spa services and games. It is your own private paradise. 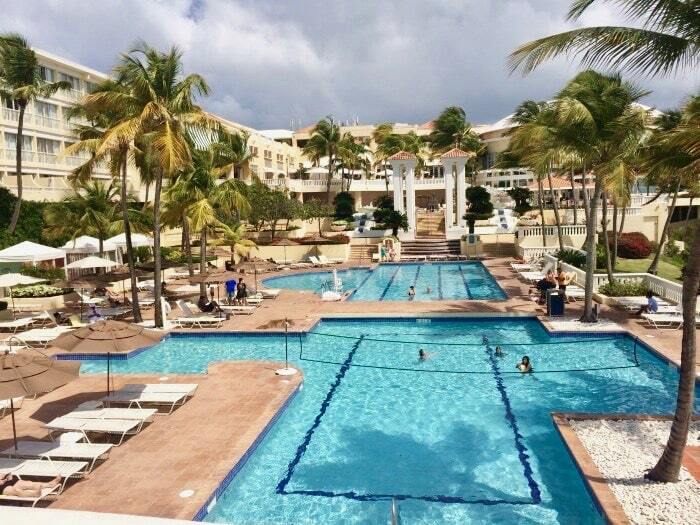 The second awesome amenity unique to registered guests of the El Conquistador Resort is Coqui Water park. 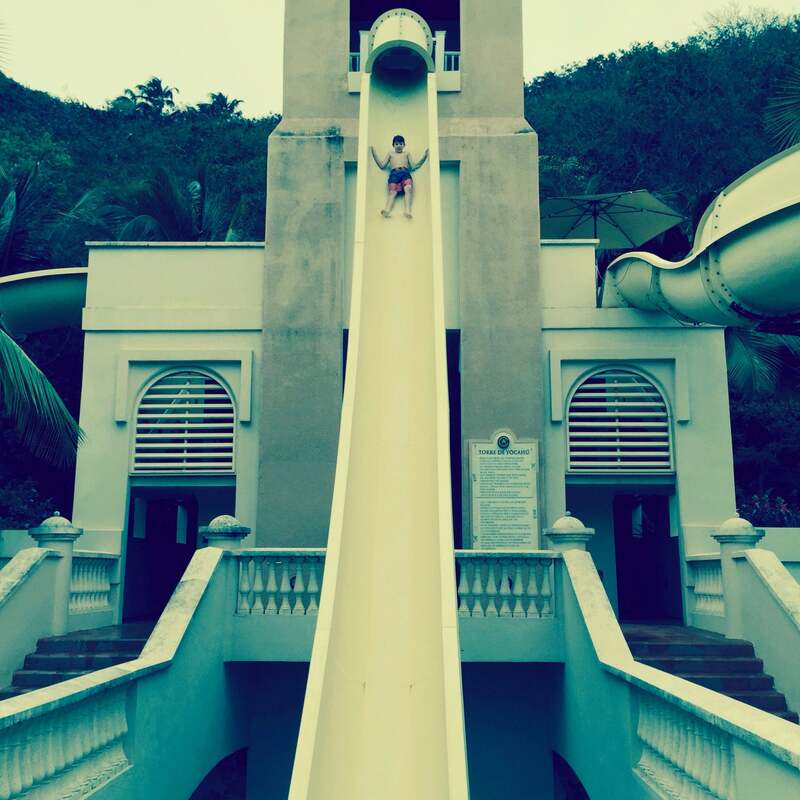 You can climb the 60 ft. Torre de Yocahu Tower with three high speed slides. I never imagined I would find myself in a rainforest, never mind ziplining through one, but this was one of the greatest adventures we had in Puerto Rico. Clearly Luke won, but I didn’t die so that made me happy. 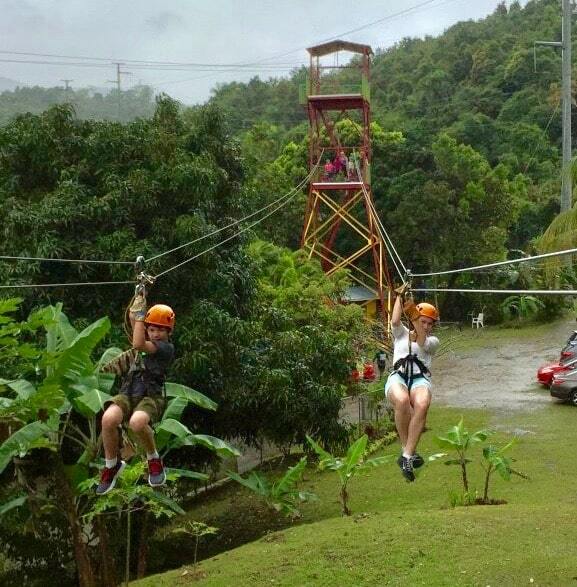 Despite the devastation that Hurricane Maria did to El Yunque National Forest, the Rainforest Zipline Park is once again open for business. La Pared Beach in Luquillo (45 minutes from San Juan) is one of the best places in Puerto Rico to learn to surf and a wonderful adventure to check off your list. The surf shop we took our lessons from is no longer in business but you can take lessons from pro surfer, Brian Ramos, former Puerto Rico National Champion, at Surfing Puerto Rico, which is super cool. If you haven’t been to Puerto Rico, now’s the time to start planning your trip and take advantage of the fewer crowds and discounted hotel rates to have the adventure of your life. You will be helping to bring back the economy of Puerto Rico as a result.